Alpaca Fleece, Fur, Fiber, For Sale @ Furbelow Alpaca Farms: PANETTA ORDERED THE RAID???? This is where it gets fishy - could this be true? PANETTA ORDERED THE RAID???? This is where it gets fishy - could this be true? Subject: Fwd: PANETTA ORDERED THE RAID???? Now THIS is believable! This, forwarded by one of my Navy buddies is devastating if true! "What Valerie Jarrett, and the president, did not know is that Leon Panetta had already initiated a program that reported to him –and only him, involving a covert on the ground attack against the compound." Jarrett refused to allow the president to give that approval. Daley then informed Clinton that he too would fully support Panetta in his actions, even if it meant disclosing the president’s indecision to the American public should that action fail to produce a successful conclusion. Clinton took that message back to Panetta and the CIA director initiated the 48 hour engagement order. 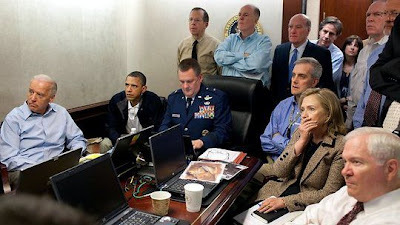 At this point, the President of the United States was not informed of the engagement order – it did not originate from him, and for several hours after the order had been given and the special ops forces were preparing for action into Pakistan from their position in Afghanistan, Daley successfully kept Obama and Jarrett insulated from that order. Warning: This email is covered by the Electronic Communications Privacy Act, 18 U.S.C. Section 2510-2521 and is legally privileged. If you are not the intended recipient, please contact the sender and delete/destroy all copies of the original message.